Joseph Stilwell, the son of a businessman, was born in Florida on 19th March 1883. He attended the West Point Military Academy and graduated in 1904 (32/124) and was commissioned as an infantryman. Stilwell served in the Philippines before returning to West Point to teach English, French, Spanish and History. An outstanding sportsman, he also coached basketball, athletics, baseball and football. During the First World War Stilwell served as an intelligence officer in France where he won the DSM and helped plan the St Mihiel offensive (September, 1918). Stilwell had three tours of duty in China (1920-23, 1926-29 and 1935-39) and was in the country when the Japanese Army invaded in 1937. General George Marshall, who had been impressed with Stilwell when he was head of the tactical section of the Infantry School, arranged for him to become commander of the 7th Infantry Division in July 1940. The following year he became head of the 3rd Corps. Promoted to the rank of lieutenant general, he was sent to establish American Army Forces, China, Burma and India (CBI). By the time he had arrived in India on 25th February 1942, Singapore and Burma had both been invaded by the Japanese Army . He immediately began talks with Chaing Kai-Shek, the military leader in China. Eventually Kai-Shek gave permission for Stilwell to take command of Chinese forces in Burma. On 2nd May 1942, General Harold Alexander, Allied commander in Burma, ordered a general retreat to India. An aircraft was provided to take Stilwell and his staff out of the country. However, Stilwell refused the offer claiming that it would have a bad psychological effect on his Chinese troops. 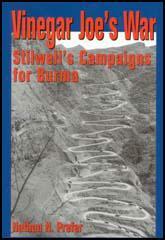 Stilwell now began his long march and covering about 15 miles a day through difficult terrain, reached Delhi on 24th May. However, by this time most of his troops had deserted and gone back to China. Stilwell established the American Army Forces, China, Burma and India headquarters in New Delhi and Ramgarh became the main training centre for Chinese troops in India. Chaing Kai-Shek also gave Stilwell command of what was left of the 22nd and 38th Divisions of the Chinese Army. In February 1943, Orde Wingate and 3,000 Chindits were sent to Burma. Their task was to disrupt Japanese communications, attack outposts and destroy bridges. The operation was very costly and of the 2,000 who returned, 600 never recovered to be able to fight again. Orde Wingate met Winston Churchill and Franklin D. Roosevelt in August 1943 and explained his theory of Long Range Penetration. Churchill was impressed and agreed to expand the size of the Chindits and Wingate was promoted to major general and given six brigades (3rd Indian Division). Roosevelt also decided to create a similar group led by the the American officer, Frank Merrill. Orde Wingate returned to India in September 1943 and began to plan Operation Thursday. The plan was aimed at destroying Japanese communications from southern Burma to those fighting Stilwell in the north and William Slim in Imphal and Kohima. On 24th February 1944, Major General Frank Merrill and his troops, known as the Merrill's Marauders, attacked the 18th Japanese Division in Burma. This action enabled Stilwell to gain control of the Hakawing Valley. Operation Thursday was launched by Orde Wingate in Burma on 5th March, 1944. The Chindits established Broadway, a jungle clearing 200 miles behind Japanese lines. This included an airstrip that enabled supplies and reinforcements to be flown in and the wounded flown out. Over the next few months the Chindits destroyed Japanese roads, railways, bridges and convoys. Once again the Chindits suffered heavy losses. Wingate was himself killed when his plane crashed into a hillside near Imphal during a storm on 14th March 1944. 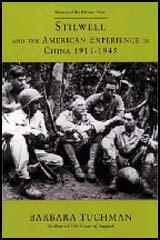 By May 1944 Major General Frank Merrill had lost 700 men and had to be reinforced with Chinese troops. On the way to Myitkyina the Marauders marched for 750 miles and fought in 5 major engagements and 32 skirmishes with the Japanese Army. Casualties were high and only 1,300 Marauders reached their objective and of these, 679 had to be hospitalized. This included Merrill who had suffered a second-heart attack before going down with malaria. The rest of the Marauders had to wait for reinforcements before Myitkyina was taken on 3rd August 1944. In August 1944 Stilwell was promoted to full general and two months later was recalled to the United States and was replaced by General Albert Wedemeyer. He was appointed as head of Armed Ground Forces until given the task of replacing General Simon Buckner as commander of the 10th Army. Stilwell arrived at Okinawa on 23rd June but by that time the battle was virtually over and the following month he took over from Chester Nimitz as military governor of the Ryukyus. Considered to be temperamentally unsuitable for this job he was recalled to Washington in October 1945. Joseph Stilwell died of stomach cancer on 12th October 1946. I don't think that Stilwell had much of an opinion of us British, but personally he and I got on well together. I always felt that he disliked his position with the Chinese: he was a very senior American general and probably had the feeling that he ought to have been playing a greater part in the war, instead of being relegated to a backwater. I am aware that most British accounts are unsympathetic to 'Vinegar Joe '- if only for his practice of 'cussing' the British troops under his command beyond the point of endurance; but - to quote an anonymous commentator - Stilwell knew well (none better after his experience with the American Marauders and with his sometimes impossible Chinese) that disaster overtook any army whenever it passed a strange and possibly movable psychological breaking-point where hard-pressed Allied troops suddenly sat down and fell sick, and hard-pressed Japs sat down and actually died. Certainly, in those dark days he was no defeatist; on the contrary, he showed great courage and fight. When the campaign collapsed he found his way back to India through the jungle on foot, having done all he could for his Chinese forces. It is good to have the spotlight turned on the true state of affairs inside China. Stilwell has done a magnificent job. I know of no other man who could have accomplished what he has in the face of all the obstacles out there. And while doing it he supported the highest ideals of American democracy and decency. After lunch again the American COS, this time to discuss Burma. It is quite clear in listening to Marshall's arguments and questions that he has not even now grasped the true aspect of the Burma Campaign! After the meeting I approached him about the present Stilwell set up, suggesting that it was quite impossible for him to continue filling 3 jobs at the same time, necessitating him being in 3 different locations, namely: Deputy Supreme Commander, Commander Chinese Corps, and Chief of Staff to Chiang Kai-shek! Marshall flared up and said that Stilwell was a 'fighter' and that is why he wanted him there, as we had a set of commanders who had no fighting instincts! Namely Giffard, Peirse and Somerville, all of which according to him were soft and useless etc etc. I found it quite useless arguing with him. Marshall had originally asked us to accept this mad Stilwell set up to do him a favour, apparently as he had no one else suitable to fill the gaps. I was therefore quite justified in asking him to terminate a set up which had proved itself as quite unsound. I had certainly not expected him to flare up in the way he did and to start accusing our commanders of lack of fighting qualities, and especially as he could not have had any opportunities of judging for himself and was basing his opinions on reports he had received from Stilwell. I was so enraged by his attitude that I had to break off the conversation to save myself from rounding on him and irreparably damaging our relationship. I returned tonight from a 24-hour trip to New York to see General Stilwell and Mrs. Stilwell. Teddy White gave a party of China people for them in his home. General Stilwell is a very sad and lonely man. I wish Madame Sun could be induced to write him so he might know that the Chinese still honor him. Yesterday he spoke at the party and said he had no faith whatever in the Guomindang carrying out its side of the new military agreement; and he thinks that as soon as Marshall leaves the Guomindang will start killing again.